Jay leads creative direction & innovation for Shaftesbury/Smokebomb, including tech, digital, feature films and branded content. Bennett leads creative direction and innovation for creator and producer Shaftesbury, focusing on technology and multi-screen content including original digital and feature film projects and branded entertainment, in partnership with Shaftesbury’s brand agency, shift2. He also oversees the company’s award-winning digital studio, Smokebomb Entertainment, and marketing, research, audience engagement and merchandising and licensing strategies across all divisions. 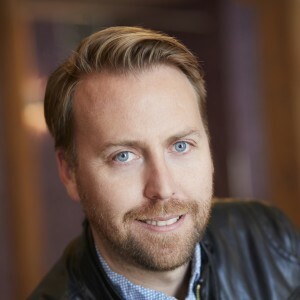 Bennett joined Smokebomb as Creative Director in September 2008 and was promoted to Vice President, Digital Media and head of the division in June 2012 prior to being appointed to his current role in November 2015. Smokebomb’s landmarks have included the creation of the first digital short-form scripted series in Canada to migrate to prime-time television, Backpackers, for top-five U.S. network The CW, and launching the world’s first scripted mobile App series, Totally Amp’d. Smokebomb recently launched an immersive virtual reality experience for Shaftesbury horror series Slasher, available for iOS and Android and launching on Oculus Rift in the spring. In June 2014, Shaftesbury and Smokebomb launched shift2, an innovative agency that helps brands harness the power of video content on YouTube and explore their millennial voice using scripted series and social media to drive measurable results. With 50 million views on the company’s KindaTV channel, which is the largest scripted YouTube channel for millennials in Canada, branded entertainment projects overseen by Bennett include the hit U by Kotex-funded drama series Carmilla; mystery series V Morgan Is Dead, brought to life by RBC; and fashion-focused comedy series MsLabelled, produced in partnership with Shaw Media and Tetley.